Southampton City Council has received confirmation of the award of £3.75m grant funding from the Government’s Housing Infrastructure Fund towards the regeneration of Townhill Park. Development at Townhill Park started last year with initial works onsite taking place on plot 1, which will deliver 56 new affordable homes. 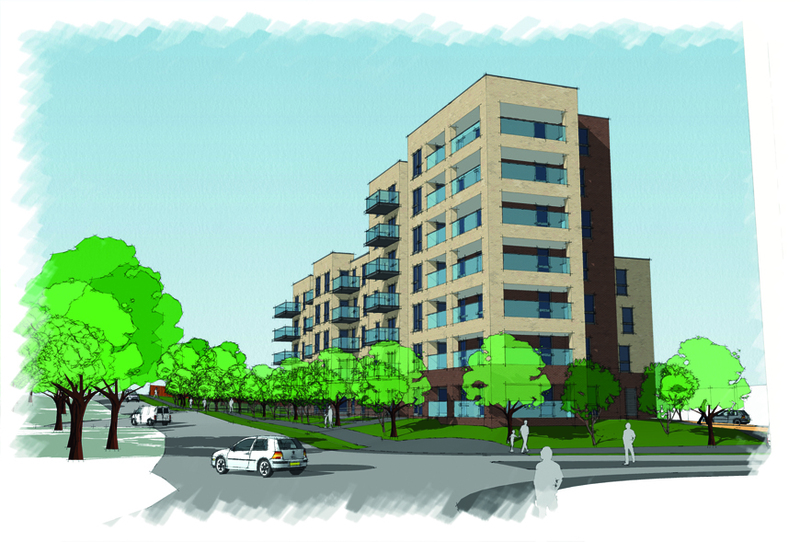 The council has already approved a proposal to bring forward the development of a further 215 homes (around half of which will be affordable housing) in partnership with funder Cheyne Capital. This latest funding will enable key infrastructure works to progress including public realm works; traffic calming along Meggeson Avenue and the provision of a new local park, known as ‘The Village Green’, enabling building work of around another 400 homes to start and be delivered more quickly. It will also enable the council to significantly increase the amount of affordable rental homes in future phases of the scheme. Designs for ‘The Village Green’ were developed in partnership with local community and youth groups and will include separate play areas for younger and older children, with the latter featuring a zip wire, fitness trail and pyramid tower.